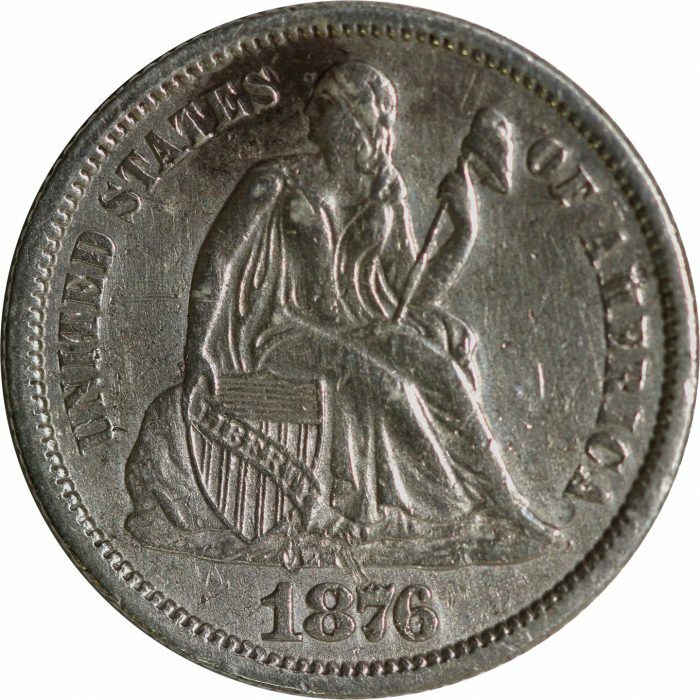 This 1876 CC Liberty Seated Dime is in MS-61 condition. 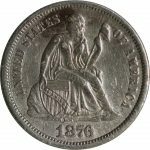 The detail on both the obverse and reverse is stunning. There are a few abrasions and contact marks. Has a wonderful luster, and all lettering is perfectly visible.